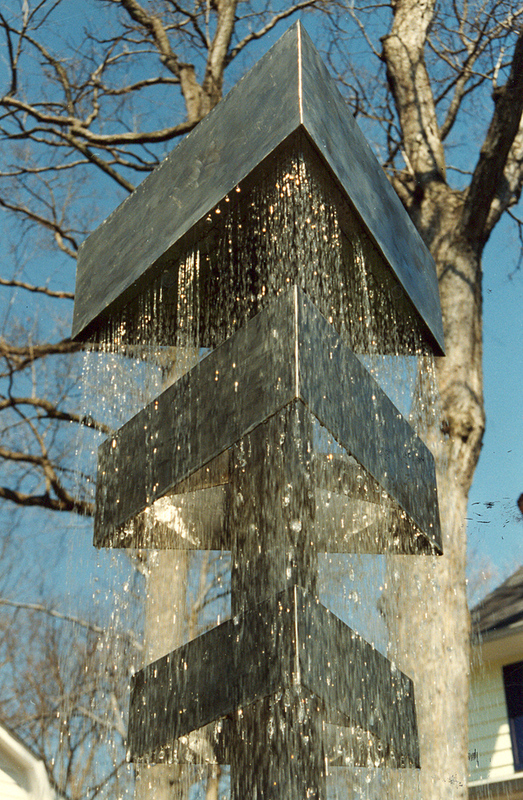 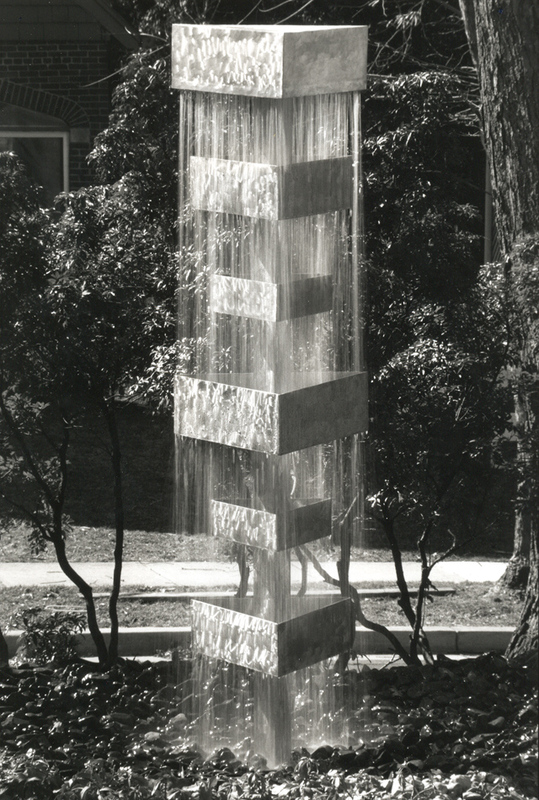 Water rains down through a series of triangular stainless steel belts which appear suspended in space. 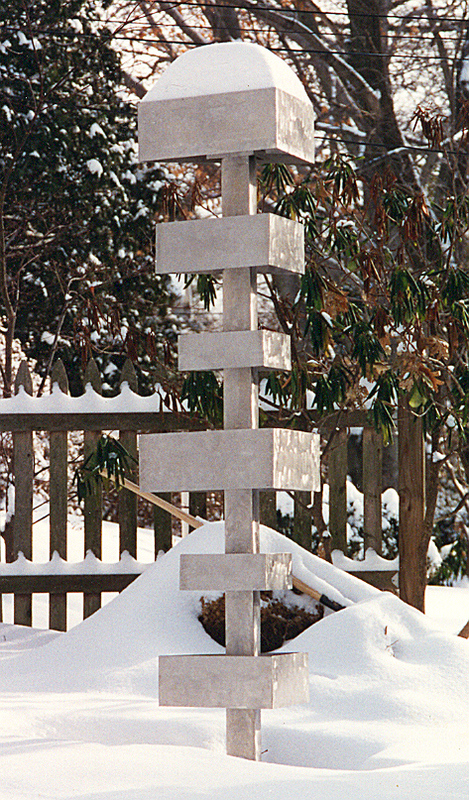 This sculpture emphasizes the relationship between fixed shapes and changing environments. 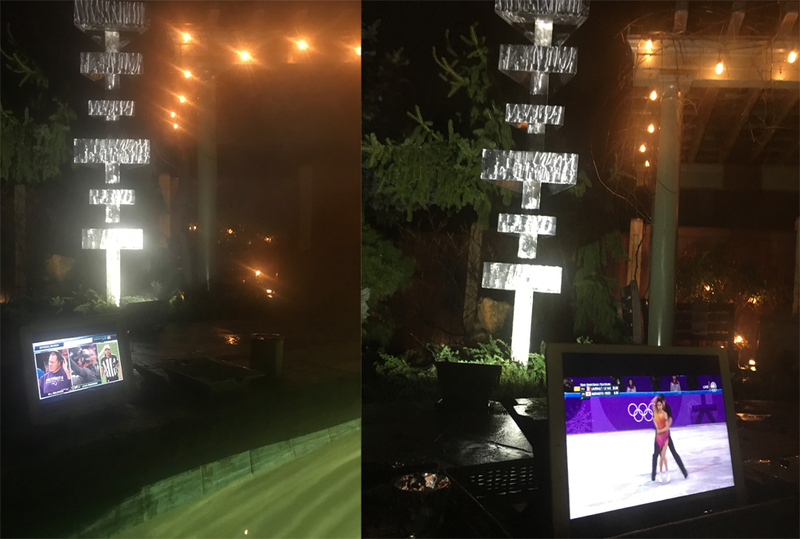 Tower at Swimming Pool with Superbowl and Olympics!